To transfer files in between PC and mobile we generally use USB cable which is reliable and easy. USB 3.0 is faster than 2.0, but today most of the mobile phones are still using USB 2.0 technology for data transfer. At the time of wired data transfer, often it creates many problems such as the phone being not recognizable by the computer or in the worst case, the USB cable being damaged. The maximum speed by using USB 2.0 cable is in between 10 to 15 Mbps, so it is not enough for today’s generation. 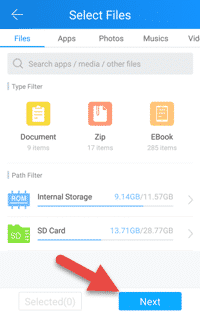 You can transfer files from PC to Android using ES file explorer, but it require some basic skills which are not easy for a beginner. But, by using Shareit you can easily share files wirelessly between PC and Android device. The first time I came to know about this amazing application when I bought a Lenovo tablet. You will get it by default on Lenovo devices because it is its product. 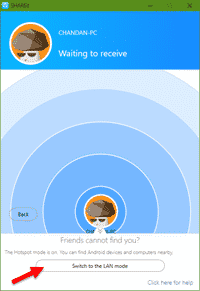 Shareit is a tool that enables wireless data transfer between a PC and Android devices. It not only supports Android devices but also supports for iOS and Windows devices. You can use it to share files wirelessly between PC and Android like photos, videos, music, and any other documents. Within few minutes, it can transfer 1 GB of file. Shareit follows plug and play rule. By simply installing it on your device you are ready to transfer files in between your devices. 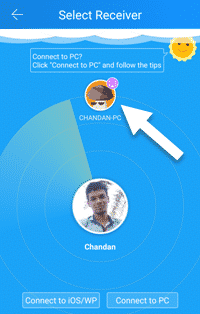 There are two ways by which you can connect two devices to share files wirelessly using Shareit. 1) You can transfer files in between two devices connected to the same WiFi network. 2) In the second method, one device creates a WiFi hotspot, to which the receiver’s device connects automatically to share files. But, this method doesn’t work for iOS devices. If you are interested to know that how it works, then follow the below procedure. Before going to the procedure, you need to download Shareit app for your PC and Android device and install them. The first method is more reliable than the second method, but it requires a little bit change during the transfer. If you are using Android then the second method is right for you, but for the iOS users, the second method is compulsory. I have been using it on my Windows 10 PC and Android 5.1.1 device and it is working very smoothly. Let’s follow the procedure. 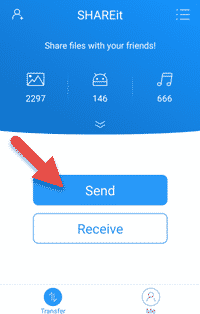 1) Open the Shareit app on your PC and click on Receive, if you want to receive a file or you can choose Send to share files. 2) By default, it’ll create a hotshot on your PC. If you want to transfer via the first method, then click on Friends cannot find you and then click on Switch to the LAN mode. 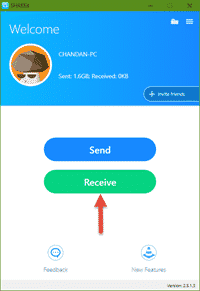 3) Open the Shareit app on your Android device and tap on Send button. Then select the files which you want to transfer to your computer. 4) Finally, tap on Next button to send the files. 5) On the next screen, the app will search for your computer. Tap on your computer’s icon to send the selected files to your PC. 6) Now your computer will start receiving files from your Android device. 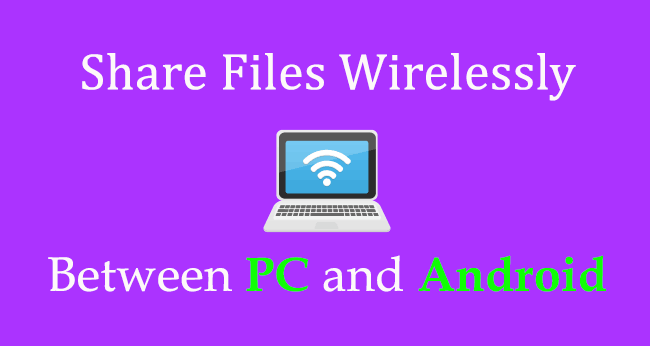 This is the simple tutorial to share files wirelessly between PC and Android. If you are facing any problem regarding this, then feel free to comment below.